I’m thrilled to finally be able to transcribe and publish another one of the letters from the late 1800’s my cousin Ron West sent to me. These letters are from my West ancestors and are true treasures! All of these letter were written from the West family in the Hightower Community, Forsyth County, Georgia to their son/brother Paschal West and his wife Rebecca (Westray) West, who had moved to Milan, Yell County, Arkansas. To find out more about this family, check out my West ancestors here. If the first letter made me fiesty and the second letter made me cry, this one made me raise my eyebrows and laugh. It was written to Paschal West (1845-1921), the oldest living son of George W. and Jennet West by his younger brother, George W. West (1874-c. 1930). To put this time in historical perspective, people in the South were still trying to negotiate the new lay of the land after Reconstruction. Grover Cleveland was president. 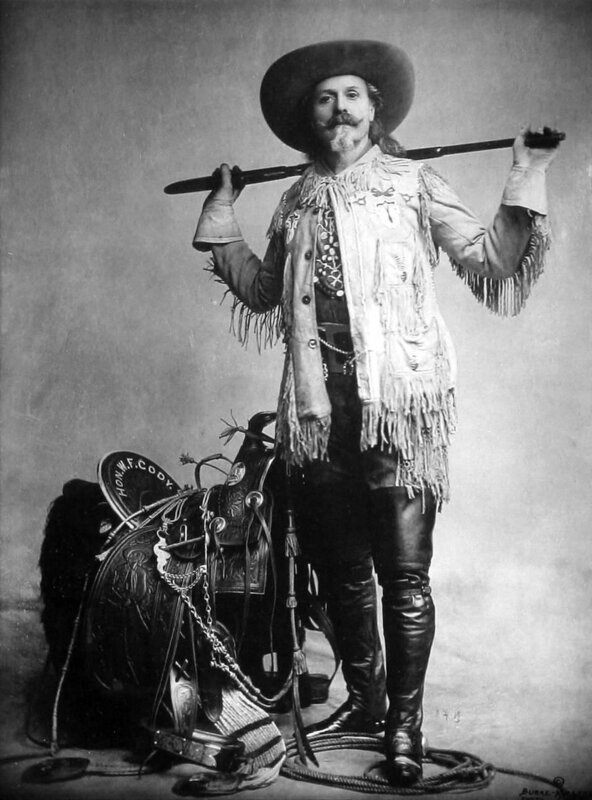 Just as Buffalo Bill’s Wild West show was opening in London, barbed wire was subduing what was left of it back home. Earlier in the month when the letter was written, Annie Sullivan taught Helen Keller the sign for “water” over in neighboring Alabama. The Eiffel Tower was under construction. And George W. West was writing this letter to his brother. I’ve tried to keep to his original spelling while adding enough punctuation to keep it readable. I embrace the present opportunity of dropping you a few liens which leaves us all well at the present. I hope this liens will reach you all in due time an find you all well. I received your letter and was glad to hear from you all. I have no news to write that will interes you, but it looks like I ort to have a go at it this time as I haven’t wrote you a letter so long a time and I think you had room to write a liddle more your self than you did. Well Paschal the connections is all well so far as I no. Mother cant walk any yet without her cruches and I am feared she never will anymore. Times is hard for her. No money at this time of the year. Well I have got me a wood shop and a black smith shop and do some work in them and make some money. I sold a two-horse wagon the other day for $52.50. And I have got one horse wagon a bout done. Will Paschal I am a going to make a crop this year and I have all the carpin (carpenter) work that I can do on houses after crops is lade by. Well you wrote that you was a going to run your shop again and wanted to get all ready bye fall. When I come I would be glad that I could get out thar this fall. But I am in det a write smart and don’t no whether I can make the trip or not. I think if I was there we could make money. Write a long to me if you will come out this winter and bring a liddle money a long with you more than you would need yourself, about 75.00, and I will go back with you. Well, I have 4 children 2 boys and 2 girls. I will tell you thar names. Homer, Lizzey, Dora and Perry. Paschal tell Phlem that Epehram is tolable well. Paschal, A. H. McClure come back from Ark with the tale of the rong end but (Pham?) like the country mighty well. Tell Eddy that Homer said that he was coming to Arkansas when he got to be a man if I didn’t go and carry him. Well Paschal we have strong talk of a rail road through this country. Well I guess I have wrote anuff without it was better so I will quite for this time. Write soon. But aside from that, there are lots of interesting things in this letter to me as a genealogist and from a historical perspective. The way the economy at the time worked, most people were in debt. After the Civil War, more and more famers moved from mostly subsistence to growing a little cotton for cash to growing mostly cotton and buying what they needed for subsistence from general stores. You probably see where this is going. Farmers would buy on credit and find themselves farther and farther in debt. George W., the letter writer, mentions that he laid a crop by, but from what I can tell he wasn’t a landowner. His father, though, owned about 200 acres more or less and, from tax records and censuses, I’m pretty sure George W. the younger farmed on his father’s land. George W. sold a wagon for $52.50. Many of these letters mention money (usually crop prices), which is an indicator of what was on people’s minds. I have no idea who these people are but I want to find out! Also, A. H. McClure is George and Paschal’s brother-in-law. He married their older sister Sarah Jane West. I wonder how he got the “tail on the wrong end”? There’s a story there I’m dying to find out! In just a handful more years an illness – perhaps an outbreak of the Russian flu – would kill and four of his six remaining living siblings. Though I don’t know the circumstances, he would fail to post bond to administer his father’s estate in about 1895, and the next we hear of George W. the younger he’s a widower living with his children near his brother Paschal in Arkansas in 1900. I don’t know what became of George W. West after the 1920 census, despite seeking out his Arkansas death certificate. Some of his family kept moving westward so I’m going to look into whether he may have died in Oklahoma or elsewhere. On a final note, one account by Jessie West Newman in 1984 recalls that George W. West was a “handsome man.” From reading this letter and the wily way he works at getting what he wants from his brother, I do not doubt this one bit. I’d love to find a picture of him! Of course, if anybody has any information about George W. West or the West family who moved from Union/Spartanburg County, SC to Forsyth County, GA to Yell County, AR please contact me.